You are here: Home / Fat Burners / Genius Burn Review: The Fat Burner for Smart People? Genius Burn Review: The Fat Burner for Smart People? Genius Burn review: Can this fat burner and brain-boosting hybrid help you achieve your weight loss goals? Genius Burn promises to deliver a two-for-one deal: increased fat burning and a brain boost. 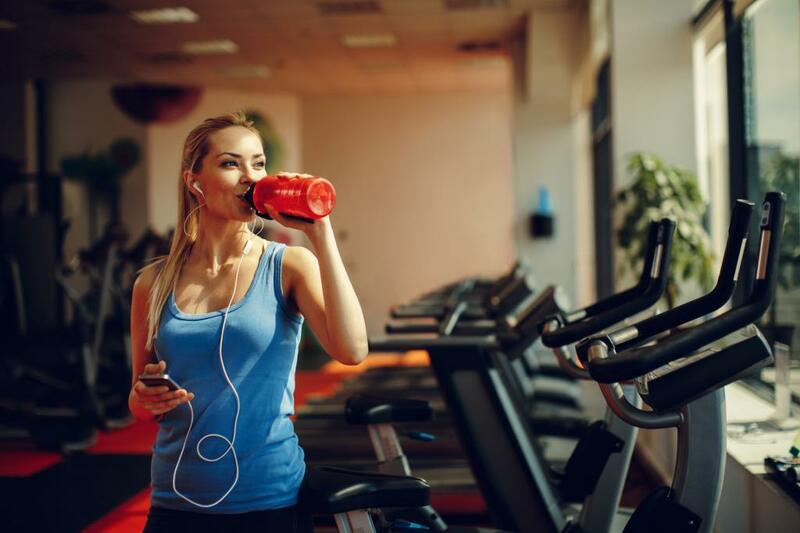 While it’s natural to find a few fat-burning ingredients such as caffeine and yohimbine in the nootropic or smart drug category, to say one supplement delivers both benefits equally well can seem like stretch. And so it is with Genius Burn. Genius Burn from The Genius Brand is neither an amazing fat burner nor nootropic. Rather, it’s pretty mediocre at both. For the supplement veteran, Genius Burn will require double or triple the servings size to get a jolt in brain energy and a metabolic boost. However, for the supplement newbie, Genius Burn might be a decent – albeit expensive – way to test the waters of both fat burning and nootropic ingredients. Is Genius Burn right for you? Let’s find out in this Genius Burn fat burner review. Genius Burn is one of several Genius brand products that have their intelligence-focused marketing twist. Instead of focusing on properly dosing their best fat burners, they throw in nootropics to stay in line with their brand image and arguably sacrifice effectiveness. There’s no doubt that Genius Burn has an impressive list of fat-burning ingredients. The added touch of nootropics is great; however, the issue is with the dosing. We deem the manufacturer’s claims of clinically-dosed ingredients unfounded as we’ll discuss below. This can become a problem for someone who doesn’t want to triple a dose and use up their supplement faster. With that said, Genius Burn could be a safe way for someone who has never tried supplements before to explore the fat-burning territory. It has enough of a dose to feel a kick but it comes up short on the problematic ingredients that people with sensitivities complain about such as caffeine. No Caffeine: While Genius Burn does contain the stimulant theacrine, it does not produce the same side effects of caffeine such as jitters and anxiousness. This makes it an ideal fat burner for those with a sensitivity to caffeine. Scientifically-Proven Ingredients: We may not agree with the dosage, but there’s no denying that Genius Burn does have an impressive arsenal of ingredients. 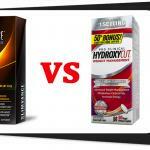 Each one has been shown to promote fat burning and weight management. Clean Label: The Genius Brand is adamant about clean supplements and Genius Burn is no exception. You’ll find it free of fillers and dyes. It’s vegan friendly, too. Best of all, it has no shady proprietary blends. Genius Burn Directions: As a dietary supplement, men and women take 1 capsule twice a day 30-45 minutes before meals for 3 days to assess tolerance. Continue with 2 capsules twice a day before meals. For maximum results, accustomed users take 2 capsules, three times a day before meals. Avoid taking before bedtime and do not exceed the recommended dosage. For best results, use for 60 days in combination with diet and exercise. Genius Burn has a great lineup of fat burners which it tops off with a few brain-boosting compounds. While it may not do much for someone who has used fat burners and nootropics in the past – unless you triple the dose – Genius Burn is probably a great option for someone who wants to test the supplement waters. While not stimulant-free, Genius Burn only contains theacrine, a stimulant related to caffeine but with none of the usual suspects of side effects such as anxiousness or nausea (if you are looking for a stimulant-free fat burner, check out our list of the best stimulant free fat burners). This patented ingredient is a combination of the following herbal extracts: Camellia sinensis, tuber fleeceflower, and Loranthus parasiticus. Camellia sinensis is a natural ingredient of green tea. Several studies have proven it can promote fat burning and reduce the risk of obesity. Tuber fleeceflower and Loranthus parasiticus are herbal extracts that are popular in Chinese medicine for promoting weight management. While it’s possible to purchase each of these extracts separately, the registered trademark of iFAS503® guarantees a specific potency and combination of the three. You know exactly what you’re getting in each serving of iFAS503®. Plus, special facilities produce it, which makes it the ideal form to buy. Ashwagandha is a powerful adaptogen and stress buster. A popular herbal extract and adaptogen, ashwagandha has been helpful for managing stress and anxiety in a natural way for many years. You can now find it in many fat burners. Studies suggest that due to its role in reducing chronic stress (a common element associated with weight gain), ashwagandha can support healthy weight management while reducing the risk of obesity. Sensoril® is the brand of ashwagandha we would recommend and the one that Genius Burn uses. It has several certifications to its name, ensuring consistency and potency. Most importantly, the Sensoril® brand was part of 12 clinical studies. They concluded it is effective for weight management, alleviating stress, and supporting cardiovascular health. Found within certain species of coffee plants, theacrine is a nootropic-focused stimulant which studies say can boost your mood and positive feelings. Unlike its counterpart, caffeine, theacrine doesn’t have the baggage of anxiety or jitters. While theacrine doesn’t have a track record as stellar as caffeine’s, many users report more mental energy and performing better on cognitive tasks when taking the former. TeaCrine® is the brand of theacrine you want to use as it has been shown to be highly effective as a nootropic with consistent results. One study found that subjects using TeaCrine® for eight weeks had no side effects. They also enjoyed the cognitive benefits, making it a safe alternative to caffeine. Citicoline has become a hot-topic medical intervention for those dealing with a cognitive issue or traumatic brain injury. Experts suggest that citicoline can help with the memory formation process. This is why it quickly became a popular supplement in the nootropic community. Although studies are still pending, one suggests promising results as a group of older adults showed significant advancement in their cognitive functioning after supplementing with citicoline. Cognizin® is the go-to brand of citicoline that you shoulde use if you want nootropic benefits. Experts suggest that Cognizin® can support the production of acetylcholine, a necessary compound for brain neurotransmitters. Gymnema sylvestre is an African and Asian tropical plant. It’s quickly on the rise as a promising weight loss support compound as studies have shown it can reduce sugar cravings, suppress appetite, and support proper insulin production. Most importantly, these studies also reveal Gymnema sylvestre aids in weight loss. 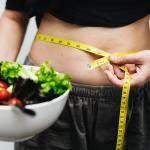 One study showed that subjects ate less with the average fat loss at five to six percent. GS4® is the brand that we would recommend using if you want to add Gymnema sylvestre to your fat-burning collection. GS4® is the brand found in most studies. Therefore, it has the most scientific backing to its name. Those who are dealing with blood sugar and weight issues can benefit the most from supplementation. One of twenty amino acids, l-theanine is popular in both the thermogenic (fat burning) and nootropic (brain boosting) supplement communities. As a nootropic, studies show that it is effective in improving cognitive performance, alertness, and test accuracy. As a fat burner, l-theanine might be a complement compound, assisting other thermogenics to ward off the storage of fat while increasing fat oxidation. Human studies are pending but the implications are promising. L-theanine also offsets the stimulatory effects of caffeine. 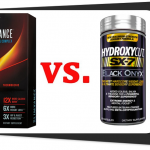 You can find it in many pre-workout formulations such as 4 Gauge. There is currently no patented form of l-theanine that we would recommend; however, if you want to begin supplementing with it, make sure you’re getting a dose of no less than 400 mg.
A member of the ginger family, the tough-to-pronounce Aframomum melegueta goes by a better name: grains of paradise. A popular spice in traditional medicine in Western Africa, grains of paradise is an effective ingredient for fat loss. One study confirmed that grains of paradise was successful in decreasing body fat while keeping fat storage at bay. Paradoxine™ is the brand we recommend if you want to start supplementing with grains of paradise. 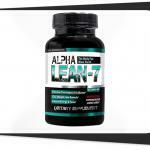 It contains a guaranteed 12.5% of 6-paradol, one of the key compounds for its fat-burning benefits. One of the most popular fat burners on the market, capsicum is a stimulant-free ingredient that triggers fat loss by suppressing your appetite, providing a feeling of fullness, and increasing your metabolic rate. Capsimax® is the the brand of capsicum that we recommend because it contains a standardized dose of 2% capsaicinoids – the same amount many studies have used. What’s more, Capsimax® improves absorption and protects your stomach from the burning feeling that you get from lower-grade capsicum supplements. Panax notosinseng has long been used in traditional medicine across Asia. It’s a proven way to treat inflammation, alleviate side effects of diabetes, and improve overall wellness. When it comes to fat burning, research suggests that Panax notoginseng is a powerful way to promote weight loss. One study found that Panax notoginseng worked with the gut microbiota, resulting in reduced body fat and a healthier weight. 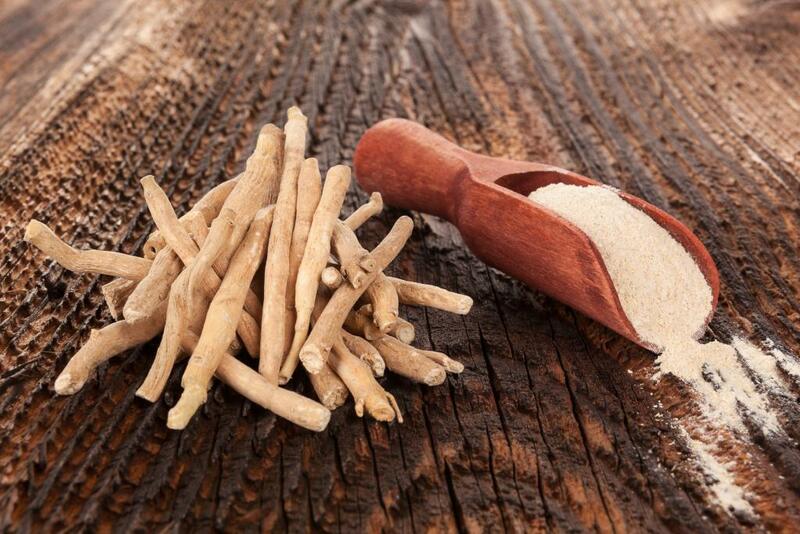 AstraGin® is the brand we recommend when using Panax notoginseng. It is a patented blend of highly-purified saponins from Astragalus membranaceus and Panax notoginseng, ensuring the highest potency and effectiveness. The last ingredient in Genius Burn is huperzine A. Experts consider this component as the grandfather of nootropics. It is by far the most studied and well-received of all brain-boosting ingredients. Studies show that huperzine A can boost the production of neurotransmitters, support cognitive performance, and enhance working memory processes. There is no recommended brand of huperzine A, but it’s important to note that it has a long half-life in the body. This means it can stay circulating in your system for up to 14 hours. With that said, take care when using huperzine A; more is not necessarily better. Genius Burn is a good choice for supplement newbies who want to lose fat. 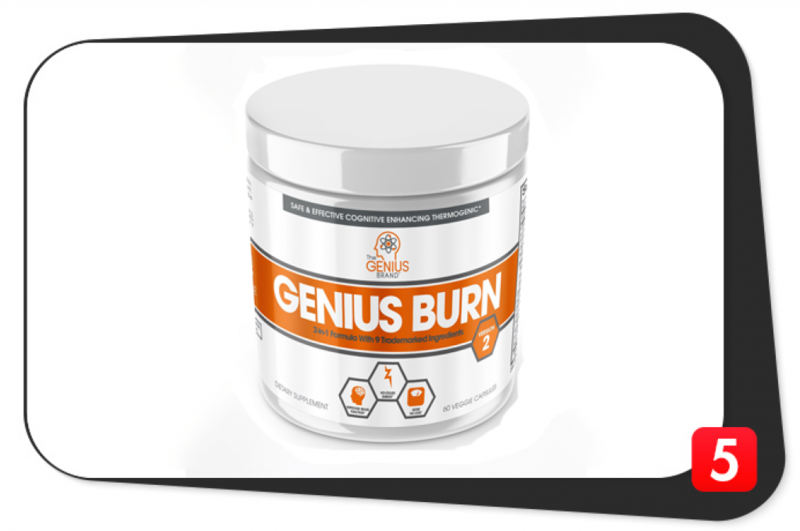 Genius Burn has chosen a great lineup of fat-burning and nootropic ingredients. What’s more is it has eight patented ingredients. This means these components maintain the same high level of quality in every batch. If the formula is great, what’s the issue? The dosage levels. Ashwagandha: Depending on the health and fitness goal, a dosage of ashwagandha can range from 250 mg to 5,000 mg. If your focus is cognitive health and performance, the lowest recommended dose is 500 mg. Unfortunately, even if you take two capsules of Genius Burn, you’re only getting 250 mg.
L-Theanine: Whether for depression, cognitive performance, or weight loss, the lowest amount of l-theanine in the studies was 400 mg per day. Even if you double the serving size of Genius Burn, you only get a paltry 100 mg.
Panax notoginseng: The lower end the dosage used in studies is 200 mg, while most cognitive-focused studies used upwards of 400 mg per day. Genius Burn only delivers a measly 25 mg. There is a silver lining to the lower dosage levels: They are ideal for people who have never used a fat burner or nootropic supplement before. Fat burners and nootropics alike can deliver a sudden rush of energy and mental alertness – far more than a cup of coffee. If you’ve never experienced that feeling, it can be a lot to handle all at once. This is why many supplements advise using half a dose to access your tolerance. Shred JYM is a great example: it’s an incredibly effective fat burner and it’s one of the few in the industry that uses scientifically-verified dosage levels. But for a newbie, it can be a lot to handle. If you have never tried a fat burner or nootropic before, Genius Burn is perfect. It contains the most popular and proven ingredients from both categories – with the exception of caffeine – and it will allow you to access your tolerance before moving on to a heavy-hitting supplement. Ready to try out a high-powered nootropic? Here’s our list of the best nootropic supplements. Genius Burn is equipped with some of the industry’s best fat burners and nootropics. With its lower dosage, Genius Burn is an ideal way for beginners to supplements to test their tolerance to both a fat burner and nootropic. Fat loss results are still possible, especially when you use Genius Burn as a part of a comprehensive exercise and nutrition program. Since Genius Burn does not contain caffeine or any other powerful stimulants such as yohimbine, there are no reported side effects. If you visit forums and read user reviews, you’ll see that a few people had an upset stomach, but these same people also took Genius Burn without food. Taking a supplement on an empty stomach is always a gamble if you have a sensitive stomach. We recommend taking the first few servings with food, then trying it without if you want to feel the maximum extent of your energy increasing. Excellent Ingredients: Genius Burn uses the best of the best. What’s more is most of these ingredients are the patented version, ensuring the same quality in every batch. Ideal for Beginners: Lower doses can cause issues for veteran supplement users, but for beginners it presents a safe environment to see what works and what’s problematic. Clean Label: The Genius Brand is dedicated to having a clean label free of fillers and junk. Low Dosage: Not all of the ingredients found in Genius Burn are dosed at levels found in scientific studies. For someone who has been around the block with fat burners, Genius Burn won’t make the cut. Price: It’s a hard pill to swallow when you see that Genius Burn sells for $50. If you double the dose, this will last you a month. Designed to Be Stacked: Caffeine is one of the best thermogenics (fat burners) and nootropics, and Genius Burn has removed it. You can buy Genius Caffeine separately for $15 and stack it with Genius Burn, which would bring your total price for a month to $65. You can also find Genius Burn on Amazon; however, be careful because there are sellers who are shipping out the old version of the supplement that has lower doses of certain ingredients. The original is also free of iFAS503®. Genius Burn has an excellent lineup of ingredients but this fat burner and nootropic hybrid shorts the user of the proper dosage that is best suited for either goal. Genius Burn has a marketing image to maintain so it’s understandable that nootropics are a part of most of their products. In fact, nootropics are a great addition to a fat burner since it can boost your mental energy, helping you do more physical activities like going to the gym. Unfortunately, with the focus on fat burners AND nootropics, the dosage levels of both categories don’t quite meet the mark of the individual ingredient studies. If you’ve never tried a fat burner or nootropic before, Genius Burn could be a great place to start…but only if it’s on sale. At the $50 price point, Genius Burn is a possible hard sell for anyone who is serious about throwing their metabolic rate into overdrive.